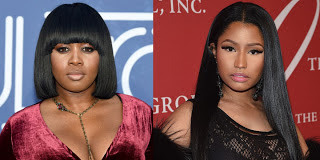 American rap star, Remy Ma, who set the internet on fire with her "shether" Nicki Minaj diss track, has released another diss track "another one", while also sharing a throw back photo of Nicki Minaj before her surgery. However, nobody is feeling this one, as fans slammed her, saying this is nothing compared to "shether". "I guess you know now who the head b-tch is I'm a savage, I be killin' dead b-tchesI bet you wish that you ain't never said shitNow they so busy shootin' videos and I'm like nahWhere the fu-k is your song? I mean, come on"